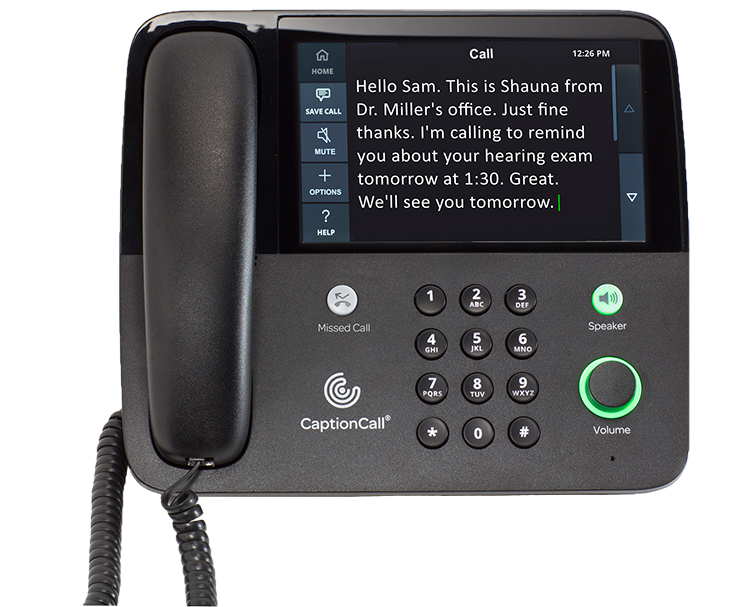 CaptionCall® is a revolutionary new telephone and service for anyone who has trouble hearing on the phone. 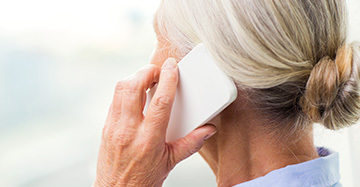 While hearing loss affects millions of people for many different reasons – age, illness, injury, loud working conditions, and military service among them – it doesn’t have to limit the quality of their phone conversations. With CaptionCall, it’s easy to communicate confidently with friends, family and colleagues. Similar to captioned television, CaptionCall uses advanced technology and a communications assistant to quickly provide written captions of what callers say on a large, easy-to-read screen. It works like a regular telephone – simply dial and answer calls as usual – speak and listen using a phone handset like always. Plus, CaptionCall offers exceptional sound quality with audio and frequency settings that can be customized to each person's hearing loss. Large text – 7" screen with adjustable text sizes makes it easy to read every word of every call. 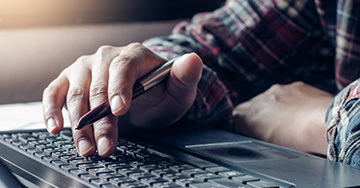 Location flexibility – set up your phone using a wired or wireless internet connection. Touch to call – make calls quickly and easily with a simple touch of the screen. Saved conversations – You can choose to save the captioning from conversations for later review. 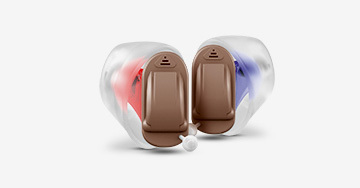 Customizable audio – easily adjust ringer and handset volume - also customize frequency amplification. Saved volume settings – Volume settings can be customized and saved to provide the best experience on every call. Telecoil loop connection – for hearing aids with a telecoil option. Secure captioning – enjoy a safe, encrypted FCC-regulated transcription process. Mute Button – Mute outgoing audio. Visual Ringer – the CaptionCall phone screen can flash when the phone is ringing. CaptionCall is excited to announce our new iPad app—CaptionCall Mobile. 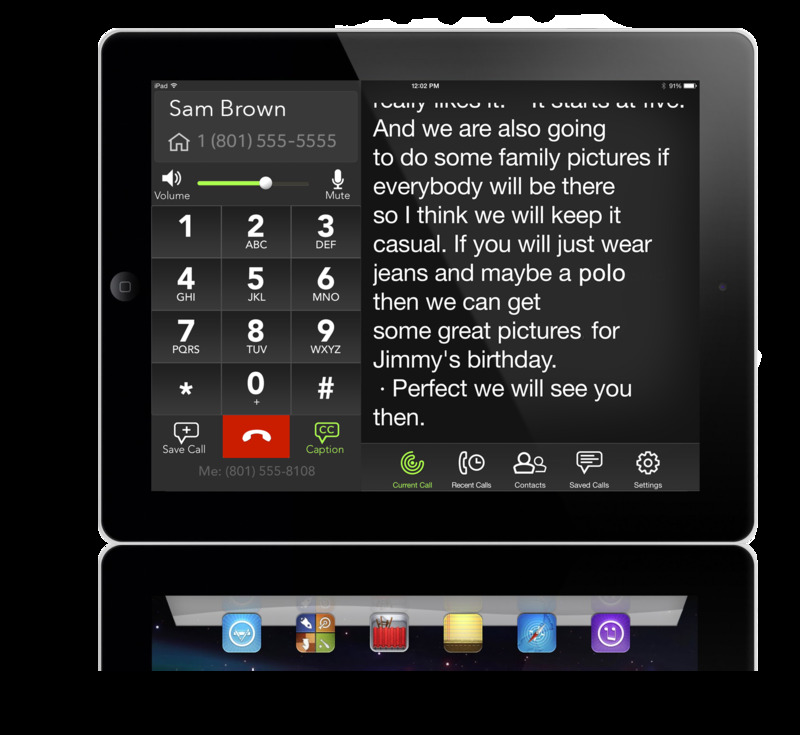 CaptionCall Mobile enables people with hearing loss to make and receive captioned telephone calls from their iPad—so you understand every word of every call, everywhere. The CaptionCall Mobile application is FREE and available in the Apple App Store to download. Call us to get your CaptionCall Mobile number today! CaptionCall Mobile requires a CaptionCall account, an Apple® iPad® 2 or later, and a Wi-Fi or cellular Internet connection. To qualify for a FREE CaptionCall phone, contact our office to obtain certification that you have hearing loss and experience difficulty hearing on the phone. a. A hearing loss that necessitates the use of captioned telephone service. Schedule your free hearing test today and find out what we can do to treat your hearing loss!